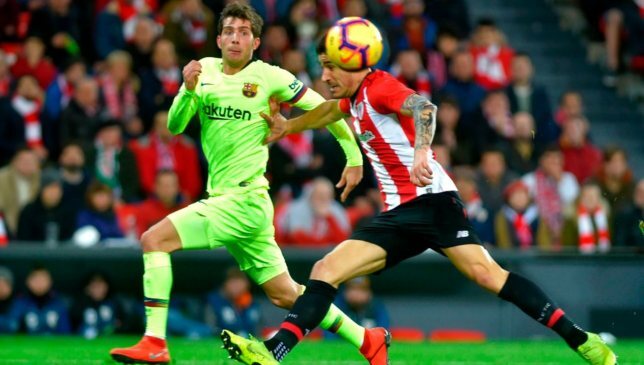 Barcelona’s Sergi Roberto reflected upon their La Liga title chances after a 0-0 draw against Athletic Bilbao at San Mames on Sunday. The right-back admitted that Real Madrid can never be counted out of the race and their latest progression to the second place is evidence to that. “We knew Real Madrid would be up there,” he said after the game, according to Marca. 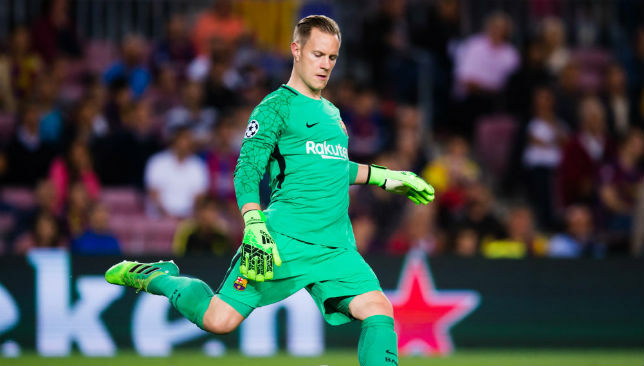 Marc-Andre ter Stegen was the sole reason Barcelona earned one point instead of zero. The German pulled off some incredible saves to deny the hosts. “He was key with the three important saves,” Roberto said of the German. Overall, the full-back stressed that it was a positive week for the club. He said: “We are not doing that badly. “We are first in LaLiga and in the semi-finals of the Copa (del Rey). 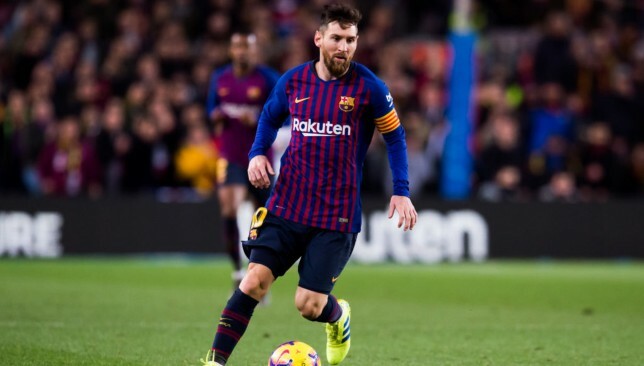 Barcelona boss Ernesto Valverde insisted that Lionel Messi was completely fit for the Athletic Bilbao clash which ended in a goalless draw. The Catalans were frustrated at San Memes and were forced to split points with the hosts. Real Madrid cut the gap to six points, with a win in the Madrid derby, and these results have now blown open La Liga’s title race. The Argentine looked like he was holding back for majority of the first half and failed to bail out an average Barcelona side. “Messi is fine and he has played at 100 per cent,” Valverde said after the match, according to Goal. However, he did admit that Arturo Vidal and Coutinho were far from their best. 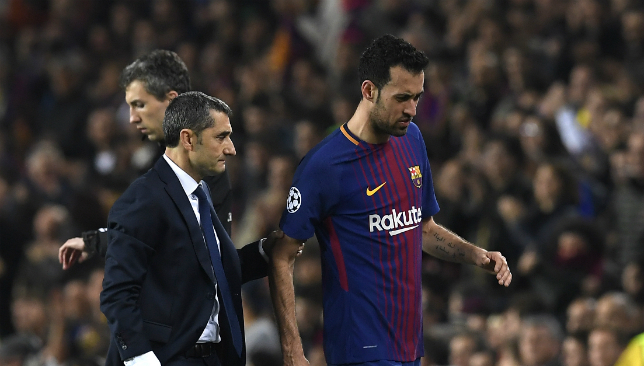 “It’s like everything else when you get a draw that you think that you should have won,” Valverde said. 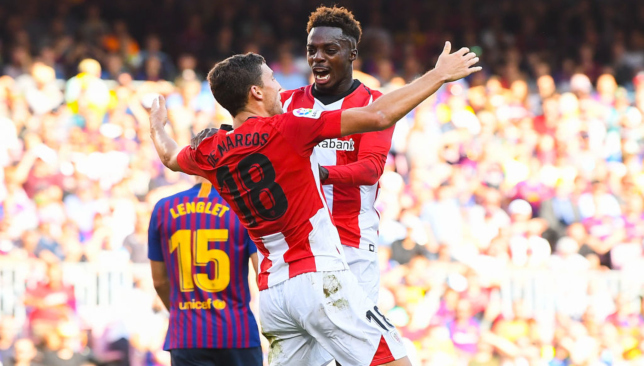 Barcelona had Marc-Andre ter Stegen to thank after coming away from a tough game at Athletic Bilbao with a goalless draw, and the German keeper is our man of the match after making a pair of outstanding saves. Find out how everyone else performed at San Mames with our full player ratings. Herrerin 6. Only had to make two saves, routine stops from Messi and Dembele, and dealt with crosses well. De Marcos 6. Did a solid job at right-back, but was sent off inside injury time after collecting two yellow cards. Yeray 8. Excellent in the heart of defence for the home team, offering tigerish tackling and breaking up countless attacks. Martinez 7. Read the game well and was constructive in possession, helping shackle Suarez with an assured display. Balenziaga 6. Sharp anticipation and disciplined positionally, rarely straying forward and keeping a close eye on Messi. D Garcia 6. Worked hard to control the space in the centre of the pitch, focussing on defensive duties and rarely getting forward. Benat 5. Unusually wayward with his passing and unable to control the game as he’d expect. Taken off early in the second half. Susaeta 6. Came close with a curler and was prominent in the opening period, but faded after the break and was replaced. R Garcia 6. Nearly netted with an overhead volley and had a snapshot deflected wide. Always a dangerous presence. Yuri 6. Drove down the left to fire just wide early on, and continued to play with intent and energy. Williams 7. Led the line with purpose, linking play well and stretching Barça’s defence. Forced a remarkable save from Ter Stegen. San Jose 6. Introduced for Benat ten minutes into the second half. Thrashed a fierce shot from 20 yards narrowly wide. Muniain 7. Came on after an hour with his team struggling and provided a spark with a bright and sharp cameo. Should have started. Kodro. The final change for Athletic, coming on for Williams very late. Had no chance to make an impact. Ter Stegen 8. Made a magnificent leaping save to deny Susaeta and an even better stop to keep out a late Williams strike. Roberto 6. Was tested defensively by Yuri but helped spur on his team’s attacking efforts with a series of penetrating bursts. Pique 7. Another strong performance from a player in fine form and becoming more of a leader as he matures. Lenglet 7. Had a good battle with Williams and did well, but gave cause for concern by limping off in the latter stages. Semedo 6. Deputised for suspended Jordi Alba at left-back and looked better going forward than he did defensively. Rakitic 6. Had more touches than any other player, using the ball sensibly and making supporting runs into the box. Busquets 6. Subdued in the first half but vital to his team’s improvement after the break, knitting play together with astute passing. Vidal 5. Produced some sloppy touches in midfield and just looked rather hectic. Replaced by Alenya after an hour. Messi 7. At the heart of everything Barca did in attack, having their only truly dangerous shot and always offering a threat. Suarez 5. Glanced a first-half header wide but was otherwise frustrated, working hard without gaining any reward. Coutinho 6. Very quiet in the first half but much more involved after the break, coming inside to combine with Messi. Alenya 6. Barca’s first entrant from the bench, he came into midfield and looked bright enough to warrant more playing time. Dembele 5. Came on for Coutinho after 75 minutes and did little other than cutting inside to curl one shot at the keeper. Vermaelen. Replaced the injured Lenglet for the final stages and had little to do.